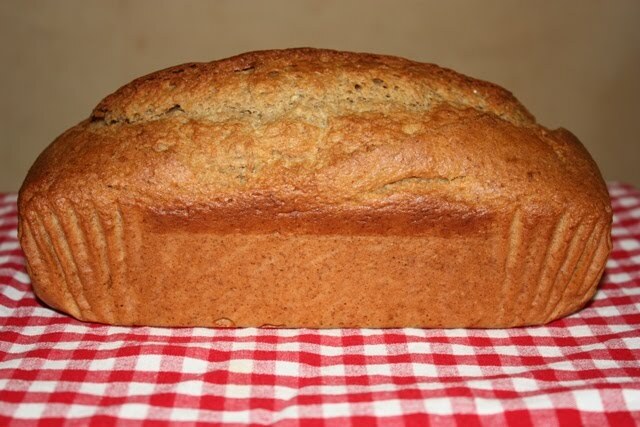 A lovely simple recipe for Banana Bread from Domini Kemp's Saturday page in the Irish Times Magazine, which I veganised (and reduced the sugar in) with great results. 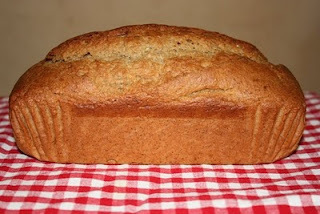 Bananas are a natural raising agent so they deliver a lovely high, springy loaf. Gorgeously banana-y too! o Bake for 55 to 60 minutes. Test with a skewer.